It’s that time of year where I start to crave hot foods to help keep warm. 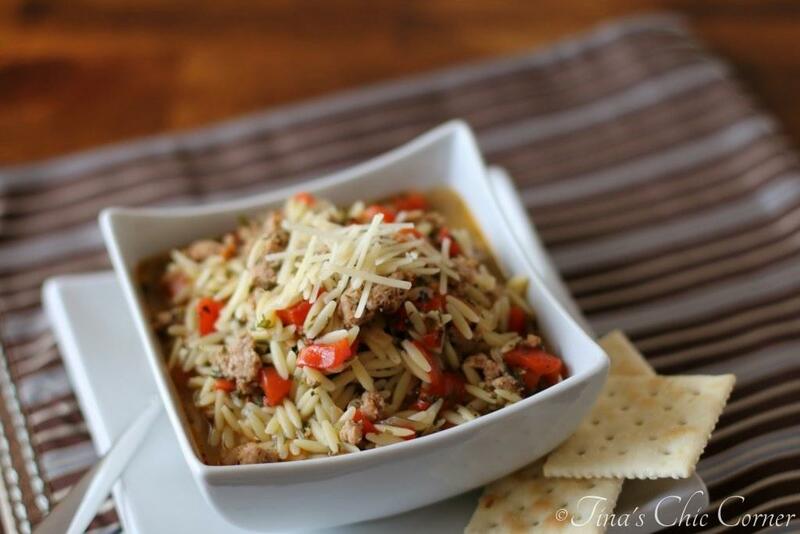 This hearty Italian sausage soup has a broth base and it’s loaded with hot Italian turkey sausage, orzo, roasted red peppers, and assorted seasonings. 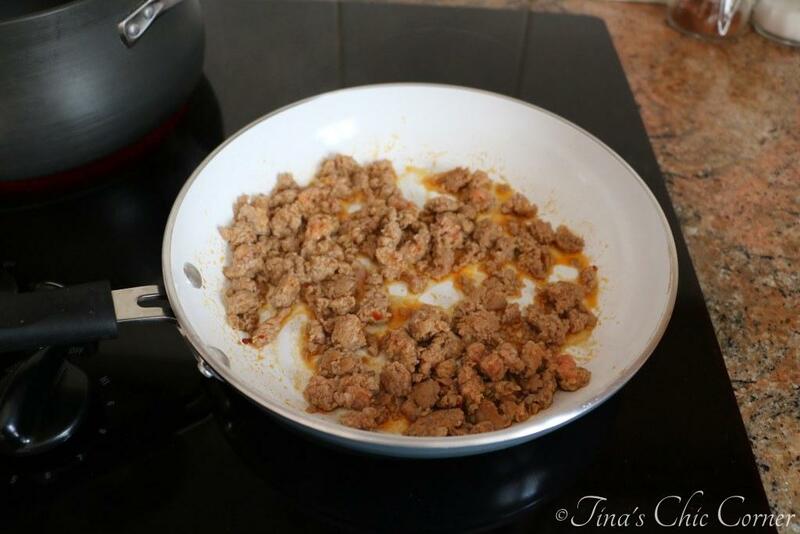 In a medium skillet, cook the turkey sausage. Don’t forget to remove the casings prior to cooking. Set it aside once it’s done cooking. In a large pot, on Medium heat, heat up the olive oil and cook the chopped onions until they are a translucent color. Stir in the chicken broth and season and add the chopped roasted red peppers. Season with bay leaves, parsley, basil, salt, and pepper. Increase the heat and bring it to a boil. Then turn the heat to Simmer/Low and simmer for 20 minutes, partially covered. Turn the heat to Medium/High and bring it to a boil again. 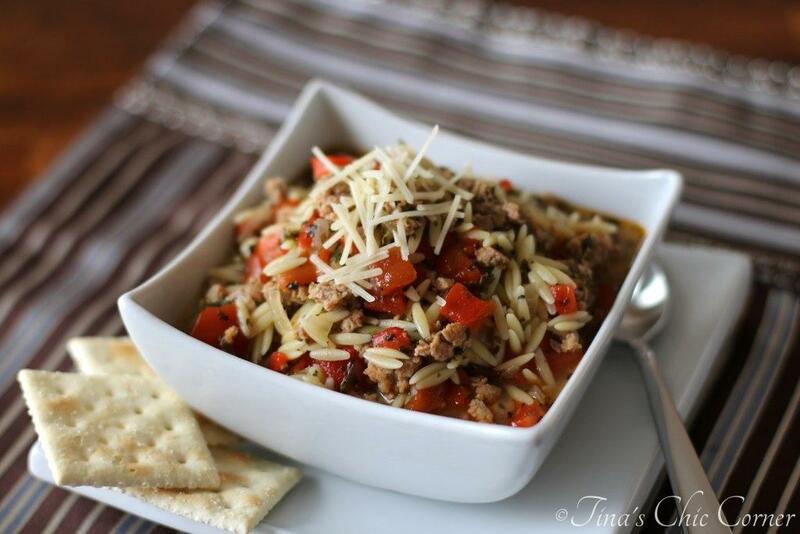 Add the uncooked orzo and cooked turkey sausage and cook it for 8-9 minutes, until the pasta is al dente. Store in an air tight container in the refrigerator or freezer. Soups tend to be easy to put together. It’s just like throwing a bunch of ingredients into a slow cooker, except you don’t have to wait as long. 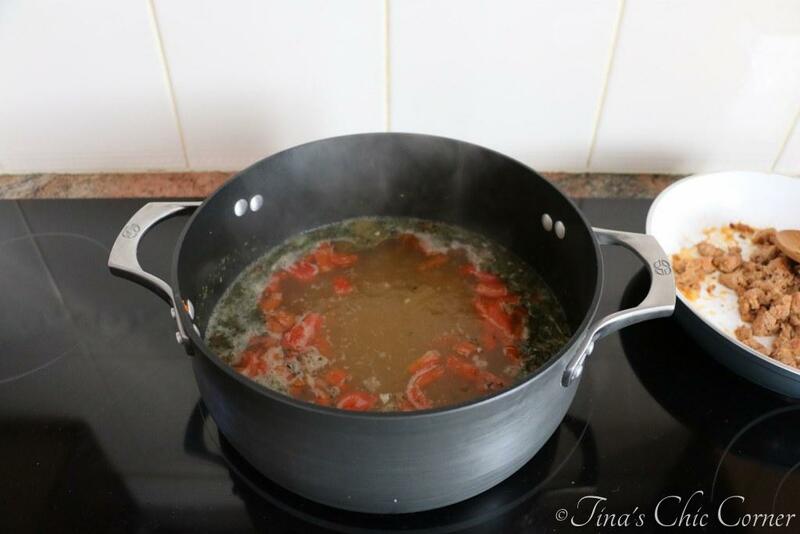 For this recipe, you do have to cook the sausage separately before adding it into the pot with the other soup ingredients, but two pans really isn’t bad right? In fact, I just realized that I could have cooked the sausage in the large pot at the beginning instead of getting two dirty pans. Oh well. I used hot Italian turkey sausage. It has a hint of heat (my husband says it has no heat at all, but he has a higher tolerance than I do). Mostly I like the taste of it when it’s combined with all of the other flavors in this soup. Also, I like to use turkey sausage to cut down on the fat content. With all that delicious sausage flavor you really can’t even tell what meat it’s made out of. Feel free to swap it for any kind of sausage you love. The orzo will absorb some of the chicken broth as it cooks becoming a good deal more awesome than orzo that was just cooked in water. 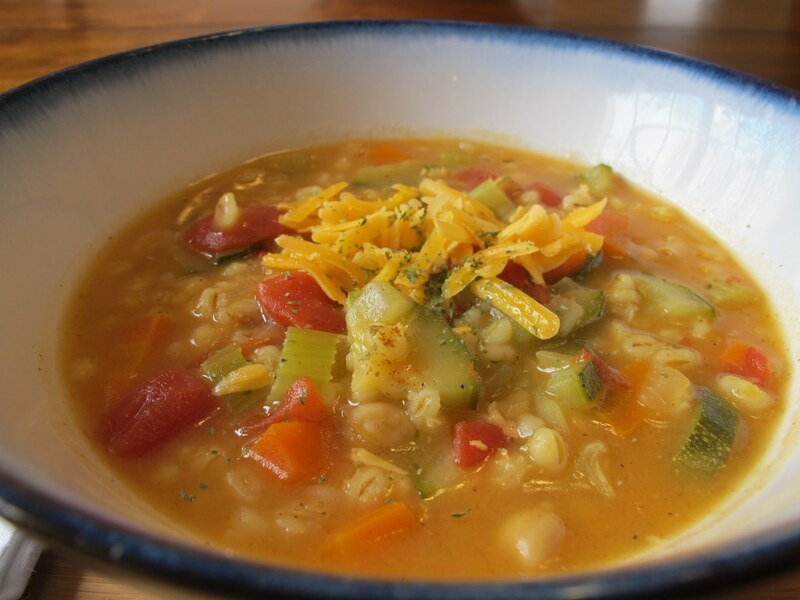 Unless you think carbs are evil, this is a pretty healthy soup. I love when something that tastes great isn’t horrible for you. I sprinkled some shredded Parmesan cheese on top, which adds more lovely flavor. Let’s face it, cheese is a fun thing to add to most soups. My husband and I took a mini vacation to Quebec City, Quebec a couple of weeks ago. I “splurged” and bought this plate and bowl from the Dollarama (Canada’s version of the Dollar Store). 🙂 You can’t go wrong with white dinnerware and I love how the square shape gives it a modern look. Seriously, it was a dollar! Can you tell that I love soups? With the weather cool all I want is soup, this is perfect! Thanks Tina! Can I just say I love everything about this post? The dish, the photos (incredible job!) and this soup are all just amazing. The soup looks so hearty and so pretty at the same time! Autumn in a bowl! I’m going to go to dollarama on my lunch break (I love it there!) and pick up some new food props! How did I not think to check them out before I shell at the big bucks at all those other money suckers! Soup looks great, but when do your recipes not look great?! I hope you have good luck finding something fun at the Dollarama! It’s been so cold and rainy here today. 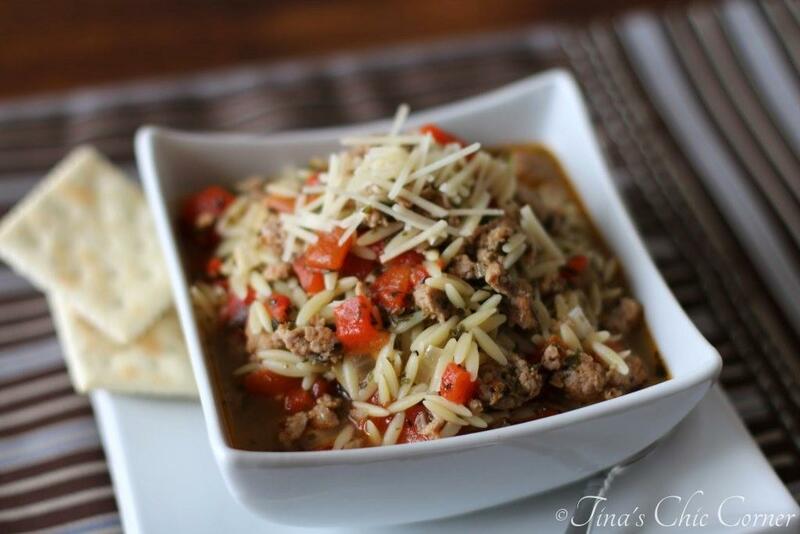 This Italian Sausage Soup would really hit the spot! This looks awesome- so much better than the dorm food! I love that it’s almost like a stew with the broth:food ratio. And the orzo! 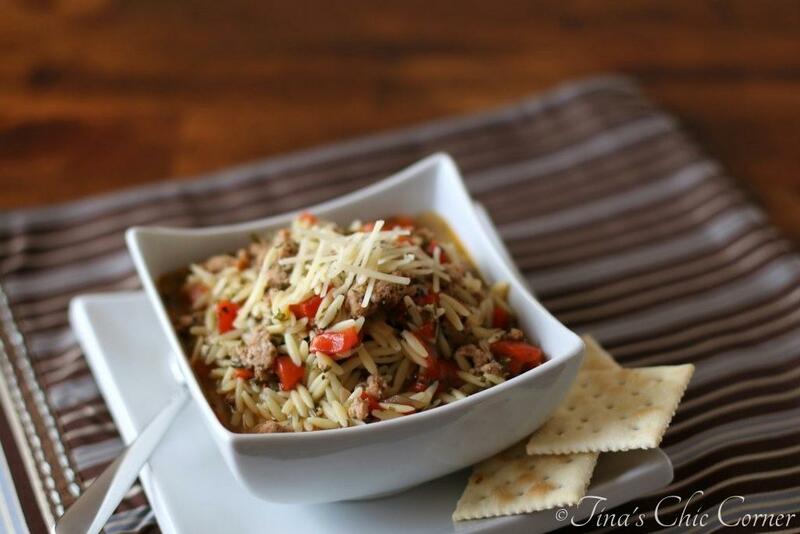 Orzo is one of my favorite pasta-grain things. So perfect for a cold fall day! You are going to think I am crazy but I wish I lived somewhere that got cool enough to make me crave a hot soup to keep warm! I mean, I crave hot soups but we rarely see temps dip into the 30s or 40s here in South Florida! Don’t get me wrong, I love the beaches but I long to live somewhere that actually has seasons! 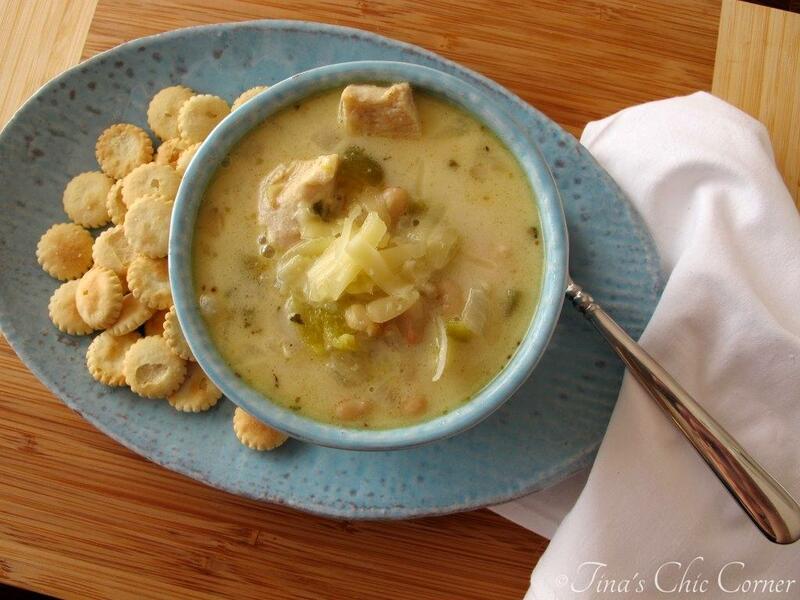 Great soup, Tina! I just might have to make this one day. Pinned! LOVE this soup! I could go for a bowl right now! Snow!? Oh wow, we won’t get that here in CT for another couple of months…at least I hope so. I love hearty soups! They are easy, cheap and make great leftovers! Let the winter begin! This looks great, Tina! 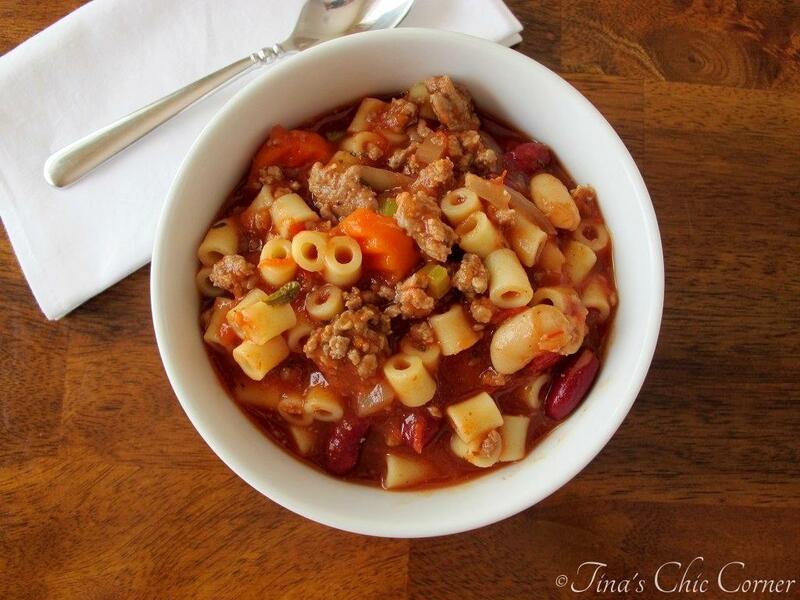 That looks so hearty and comforting Tina! I love sausage soups! Actually I love sausage in any savory dishes. 🙂 This one looks incredible. Thanks for sharing your recipe with us. YUM! You’re so funny… I’m the one with the heater cranked and with shorts and a tank top on all through winter. I guess that’s why my husband is always complaining about the constant rise of the heat bill! I love Italian sausage! Especially in a soup. So pinning this and bookmarking. This is going on the menu for this weekend!